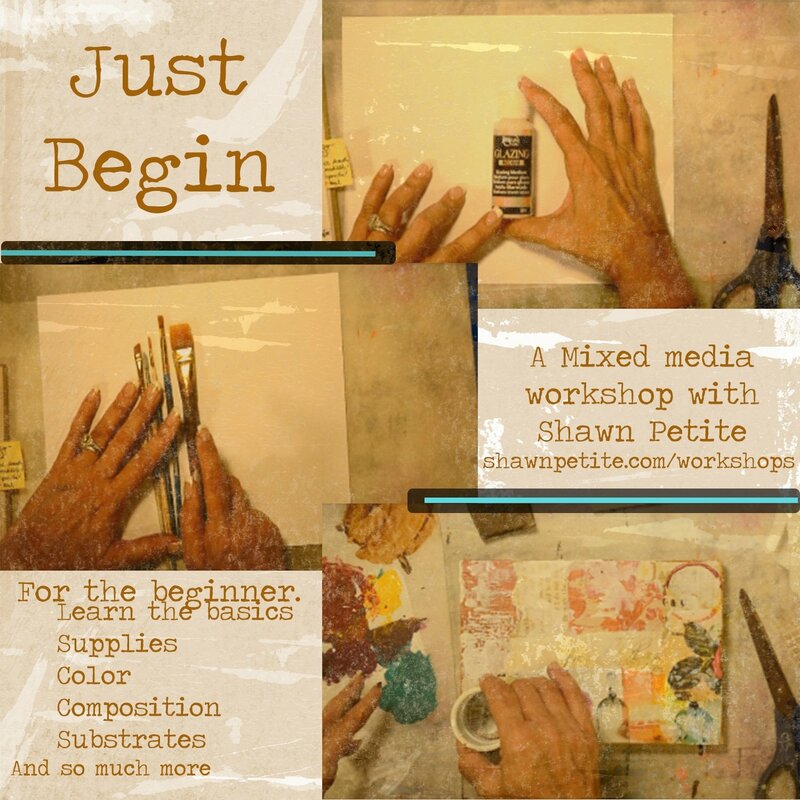 This workshop is designed for those who want to learn the basic, basic info about mixed media. Who are unsure of where to start or are a little nervous about diving into this creative world. START HERE! There are 8 individual videos breaking everything down into manageable parts. Small steps to get you creating and getting your hands messy. You will receive a link to a classroom page that has additional info, supplies, inspiration and all the videos. You will receive immediate download info and codes to access everything. So make sure that your email is correct when checking out because that is where your downloads will come to. It's time to JUST BEGIN! All Digital Workshops and downloads are non refundable.